You’d think an elected Member of Parliament would have better things to do than sue a student newspaper. 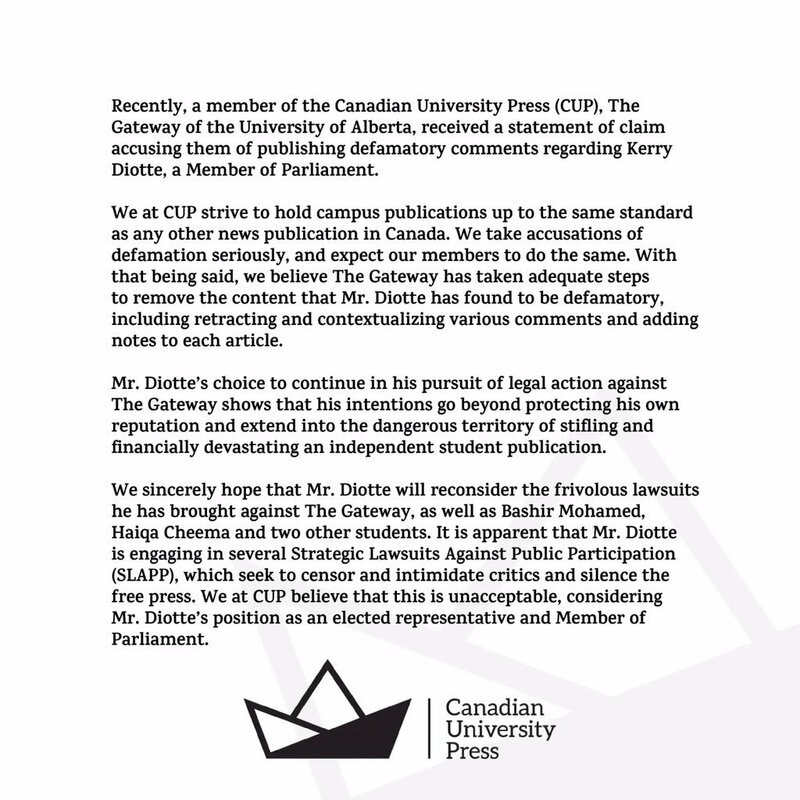 Recently, reporting by the University of Alberta’s (U of A) student paper The Gateway was met with a lawsuit alleging defamation of Conservative Member of Parliament (MP) for Edmonton-Griesbach Kerry Diotte. In our view, a lawsuit is not a proportional response to unflattering coverage of an elected official. It’s also not good for freedom of speech and of the press. After the U of A Students’ Union President Reed Larsen tweeted a photo of himself smiling with Diotte in late October, a fierce debate over Diotte’s politics was ignited at the university. Many called the photo an endorsement by Larsen of Diotte’s politics, which have been characterized as racist by many critics of the MP. Diotte — who was a journalist and columnist for many years before he entered politics — wrote a variety of columns that critics have interpreted as racist, including one where he called refugees from the Czech Republic coming to Canada “gypsies.” Of particular interest to recent critics was his association with former far-right Rebel Media reporter Faith Goldy, who recently ran for mayor in Toronto and has been called a white nationalist. 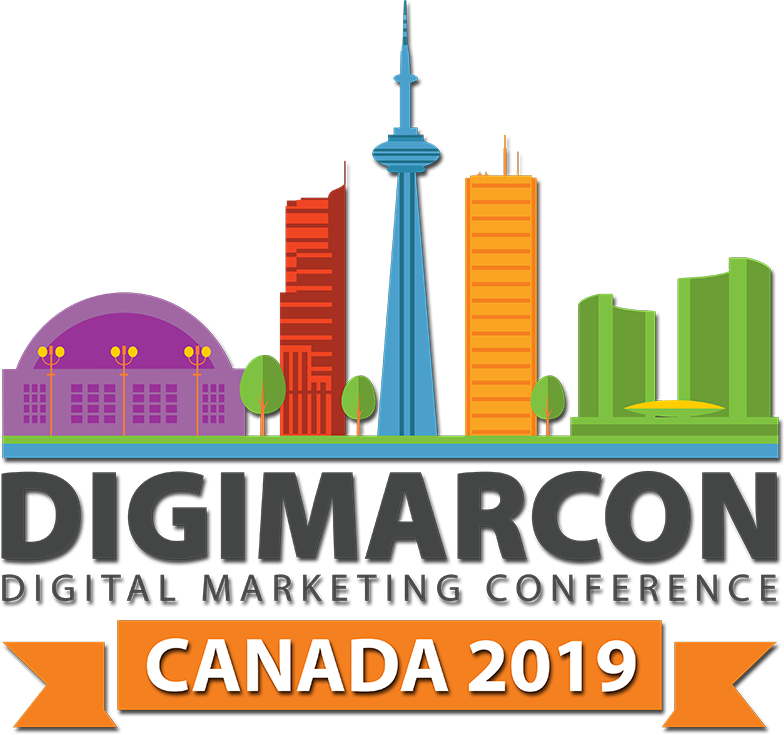 In response to this criticism, Diotte threatened legal action for defamation against numerous current and former students for their tweets on the controversy, many of them students of colour. After The Gateway covered the controversy and wrote an editorial on Larsen’s actions, Diotte’s lawyer contacted the publication on November 15 to refute some claims made in the articles, alleging the paper failed to properly contextualize the reasons for Diotte’s suit and falsely claimed that he explicitly supported Goldy’s recent mayoral campaign. 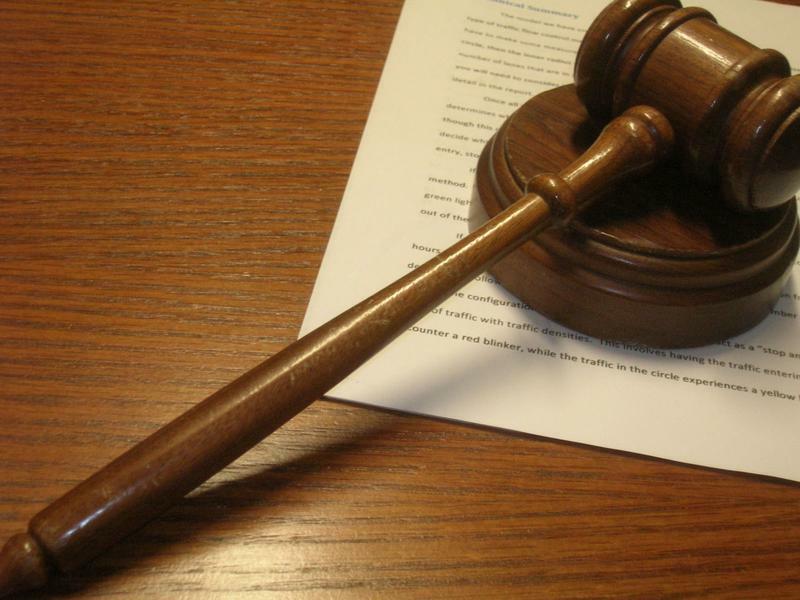 Even after amendments were made and editor’s notes added to each of the articles, Diotte filed a lawsuit alleging defamation against the student publication on November 19. Student media is real media, and should be held to the same journalistic standards. As the Canadian University Press wrote in its statement on the matter, “We take accusations of defamation seriously, and expect our members to do the same.” So do we at The Ubyssey, and that means updating coverage when clarification is needed. The Gateway was quick to amend allegedly defamatory statements about Diotte. In normal circumstances, the editorial would leave this experience as stronger journalists and that would be the end of it. But Diotte’s continued legal action, in our opinion, seems to be an unnecessarily punitive way of teaching The Gateway a lesson to perform a duty it has already fulfilled. We don’t claim to be experts on The Gateway’s financials. But we’re well aware that student newspapers do not have the same legal or financial resources as major publications. Like us, The Gateway is largely funded by a levy charged to each student. Legal fees incurred by this suit could potentially be devastating to the paper’s operations for many years to come. That means that students at the U of A may end up indirectly bearing part of the fees incurred by Diotte’s motion — which seems counterintuitive to the public interest. As an elected official Diotte has a responsibility to uphold a certain standard of conduct and to use his time judiciously to represent his constituents. Filing a lawsuit that bullies students and student journalists — many of whom probably reside in his riding — is poor practice for someone elected to serve his community members, no matter their politics. Normally, this is when we’d hope all those freedom of speech advocates show up. But it seems they’re nowhere to be found. The right to criticize figures of authority in the public realm is an integral one, even when it is overstepped. Diotte has already threatened to file a number of similar defamation claims against private individuals who have criticized him online, many of them young people of colour. This represents a pattern of punching down on public critics that is unbecoming for anyone, especially an elected official. A continued lawsuit, in our view, is not a productive way of mediating this dispute and is certainly not in the best interest of promoting freedom of speech — not just for The Gateway, but for media as a whole.